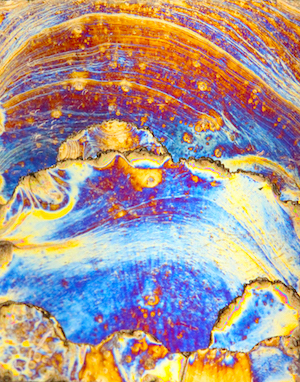 This year, we held the 2nd annual ChemE Science & Engineering as Art Competition highlighting the beautiful images created through the course of cutting edge student research. Thanks to the Bowers Endowed Fund and its flexible spirit to provide support where deemed a priority by the current Chair, this art competition has been able to grow and flourish in its second year. This year, we had 16 entries which were judged based on the image, as well as the title and description. The students produced wonderful art work that highlighted both the breadth of research areas and opportunities for students in the department, as well as the wide range of talents among our students. The art work will join art work from the previous competition to adorn the walls of Benson Hall and make a long lasting impact beyond research. The selection panel chose three winners to be framed and displayed in Benson Hall. The other entries will be on display in Benson for one year, until the next competition. The winners were revealed and honored at the 2017 Annual Awards Day Luncheon. To see all the entries and winners, visit our instagram account!